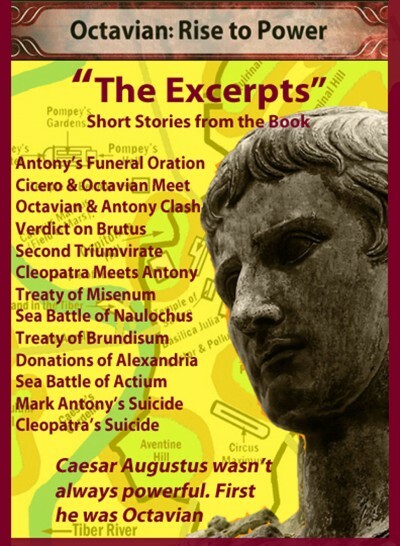 Octavian Chronicle #1, Assassination-44 BC, tells the whole story. He stretched his hand up at the Capitoline Hill, raised his voice, and said, “Oh, Jupiter, god of our ancestors, and ye other gods, for my own part I’m prepared to defend Caesar according to my oath and the terms of the curse I called down upon myself. “But since it’s the view of my equals that it’s best that we give amnesty to the murderers of Caesar, I pray that it’s truly for the best. “We must attend to the present instead of the past, because our future, and indeed our present, is poised on a knife-edge of great dangers. We risk being dragged back into our previous state of civil war. “Let us then conduct Caesar, this sacred person, to join the blessed, and let us sing over him the customary hymn and dirge.” He gathered his garments like a man inspired and girded himself so that he would have free use of his hands. He took his position in front of the bier with Caesar’s lifeless body lying on it. Then, as if he were in a play, he bent down to it, rose again, and sang as if he were singing to a celestial deity. 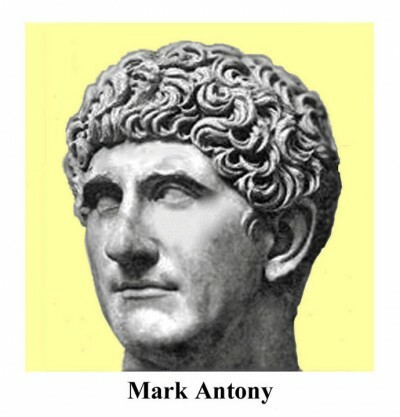 At this point, Antony uncovered Caesar’s body, stripped the bloody toga off, lifted it up on the top of a spear, and waved it in the air so that all in the crowd could see that it was pierced with dagger thrusts. While the people were in this mood and near violence, a wax effigy of the body of Caesar was raised straight up in the air near the bier so that all could see it. Caesar’s body itself was still lying on its back on the bier and wasn’t visible. The people didn’t see Antony smile at Piso. The effigy was turned in every direction by a mechanical device, and the twenty-three wounds savagely inflicted could be seen on every part of the body and face. The people didn’t listen. They tore the wrong man to pieces like wild beasts. Then they set his head on a spear and paraded it through the streets.